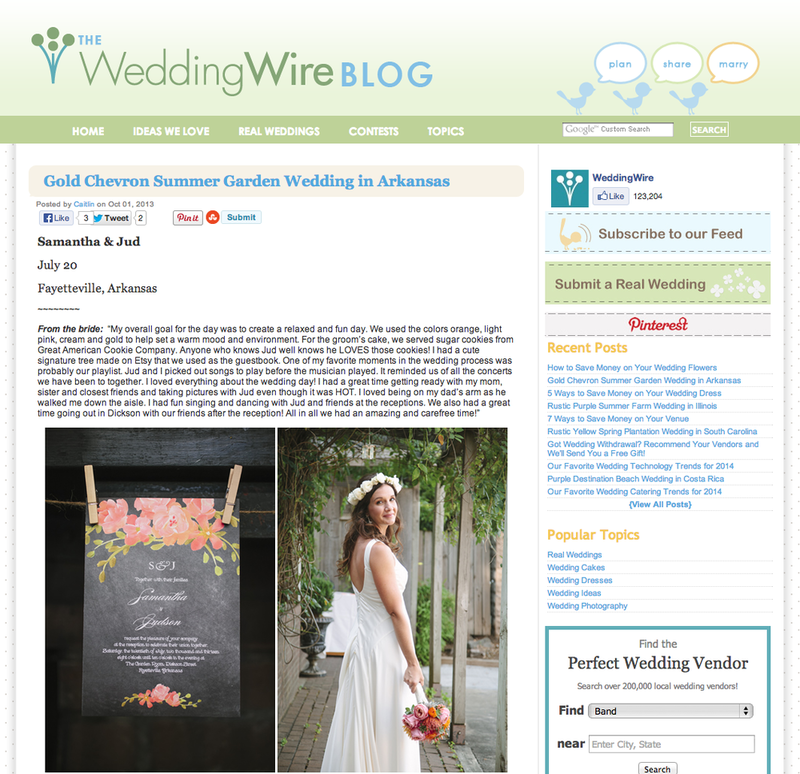 The fine people at The Wedding Wire have featured Samantha and Jud's "Golden Chevron" wedding at The Garden Room! We just loved this simple and elegant wedding with bright pinks and oranges that filled the Garden Room with cheery summer time feelings! Samantha and Jud were all about having a fun, carefree time with friends and family on their big day, and it really shined through in these photos! Check out the whole feature on the Wedding Wire Blog here! You can also see more photos from this wedding on our blog here!